His name starts with an I and his cutie mark is the flower of his name. Meet _ _ _ _ _ _ _ _. He is the palace guard of the Nyte Moon Fortress where Nightphlox spends most of her time--she doesn't know it yet, but he plans to tell her how he really feels about her this time. Click here for the "H" pony name reveal. Dani guessed correctly. Thank you for your comments and guesses! His name is Ironweed! Lori Maclaughlin guessed his name. Yay, great job! Thanks for the guesses, they are fun. Are you ready for spring? Just in case you didn't get the news, I'm sharing a printable freebie of Dandelion. I hope you like him! 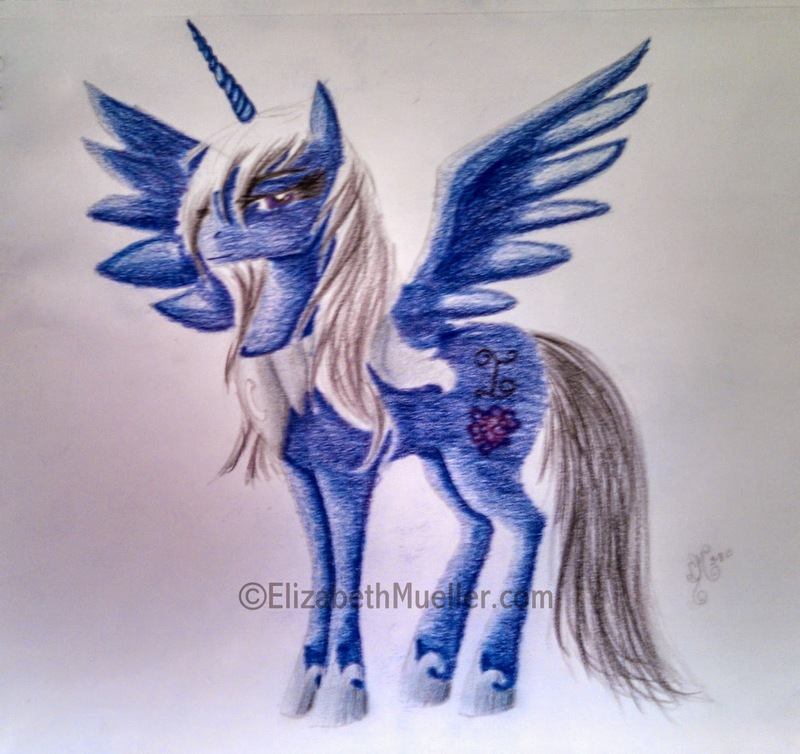 He looks like Nightmare Moon, but I have no idea what his name is. But I'm super excited I was able to get two ponies in a row!! He's beautiful - love his midnight blue colour! No idea on his name. Indigo? :P I didn't even bother to count letters this time 'cause I'm sure I'd get it wrong anyway. Once again this is absolutely adorable. You are a great artist. Indigo? I love his color. I couldn't think of any flowers that began with I, so I did a little Googling and found one that looked a lot like the photo. I feel like I'm cheating, though, by doing that. Are Googled guesses allowed? 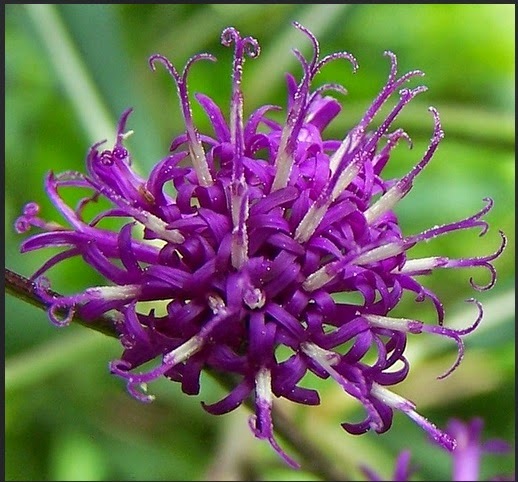 How about ironweed? Sorry if this goes through twice. I recognize you! Been a long time. No idea, but beautiful drawing. I really like the blue color. Have no idea on the name. Thank you! :) My daughters colored him. Charming. He is ready for take off. :D Love the ice blue you have going on here.